Clonony Castle near the Grand Canal on the way from Birr to Clonmacnoise. 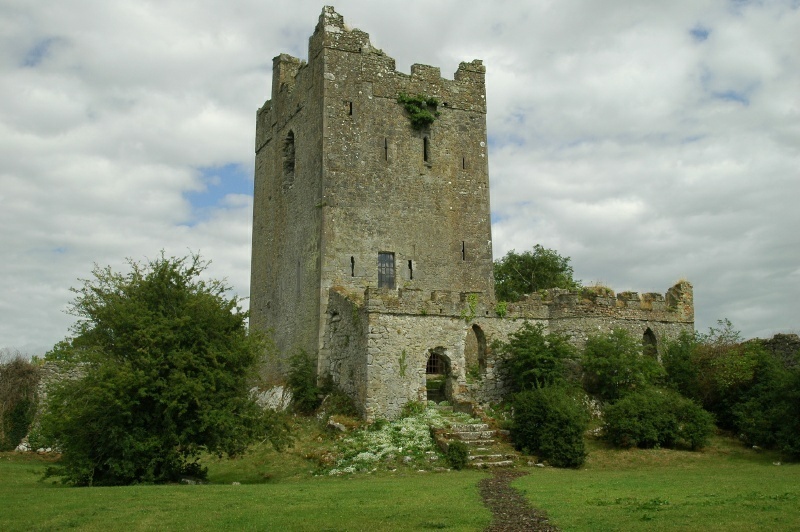 Clonony Castle is currently under renovation by its owner, an American expatriate from Phoenix, who describes Ireland as a "giant, floating Valium." We would have a hard time disagreeing with her. Note added June, 2008: This lovely tower house is now open to the public. For more information (and some interior views of the renovation), please visit the official Clonony Castle website... but remember to come back here!